The steps that you would take after getting into a motorcycle accident are similar to those you would take after getting into a car accident​. What should I do if I get into a motorcycle accident in Florida? Will my car insurance pay for my motorcycle accident? 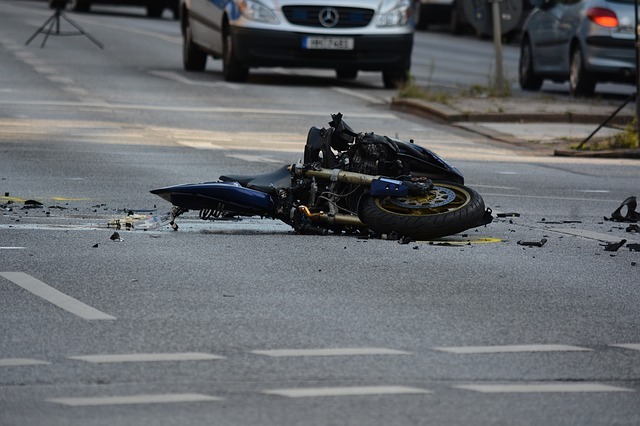 Unfortunately motorocycle accidents tend to result in much more serious injuries than car accidents. The good news is that your car insurance and perhaps the car insurance of the person responsible will cover the accident. The bad news is that because motorcycle accidents tend to cause more serious injuries, the auto insurance may not have enough coverage. You need to look at your uninsured or underinsured motorist coverage under your insurance to see how much your insurance company will cover. Sometimes medical bills can be hundreds of thousands of dollars, but the insurance doesn't cover as much as you need. If you are over 21 years old, then you are not required to wear a helmet while riding on a motorcycle in Florida if you carry insurance that covers $10,000 in medical benefits. However, if you are injured in a motorcycle accident and you were not wearing a helmet, it is possible that your claim could be worth less because you did not take all necessary precautions to prevent injury. Does Florida law require you to wear a helmet while riding on a motorcycle? Does Florida law require motorcycles to have turn signals? Yes. Florida statute 316.222(2) together with 316.234(2) state that every motor vehicle must be equipped with electronic turn signals in the front and rear of the vehicle. You can be cited for a noncriminal traffic infraction. If you are in a motorcycle accident and your motorcycle does not have turn signals, a citation for this offense could impact whether you are held partially liable for the accident, even if you did not cause it (at least, that's what the defense with argue!). Do I even need a motorcycle accident attorney? Not every motorcycle accident claim requires the use of an attorney. Claims that involve only personal property damage can probably be settled on your own. However, it doesn't hurt to consult with an attorney. You need to protect yourself in case injuries manifest later. We offer free motorcycle accident consultations and we'll help you find the right attorney even if we can't take your case. If you have immediately apparent injuries or injuries that manifest later due to the motorcycle accident, then not seeking immediate medical attention will most likely impact your case negatively. A common occurrence is when a victim of an motorcycle accident has seemingly minor injuries and they can feel fine after the accident. Instead of taking the ambulance to the hospital, they get a ride home. Later on, however, the pain manifests. It could be that night, or days later. So if you have sustained a back injury, neck injury, or other type of injury in an motorcycle accident, it is important that the physician notes that in your medical records.